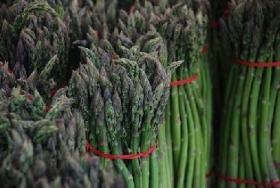 Have you made Asparagus with Water Chestnuts? 1. 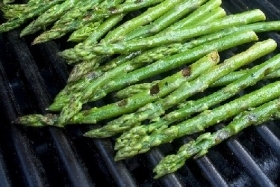 Prepare asparagus and cut diagonally into 1-2" pieces. 2. 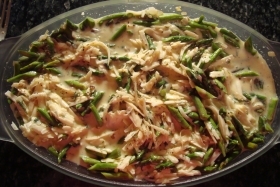 Place asparagus and remaining ingredients in 2-quart casserole. 3. 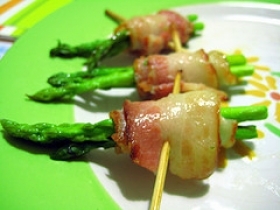 Cover tightly and microwave on high 9 to 12 minutes, stirring every 4 minutes, until asparagus is crisp-tender. 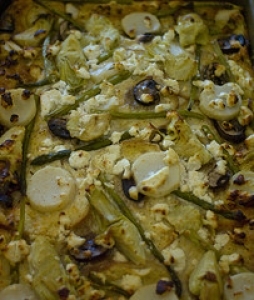 This recipe is a good source of Vitamin A with 19% of your daily recommended intake per serving. 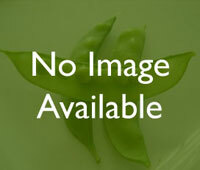 This recipe is a good source of Vitamin C with 10% of your daily recommended intake per serving. 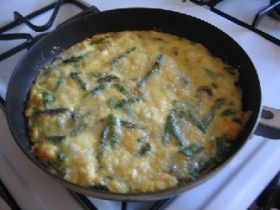 This recipe contains potential food allergens and will effect people with Butter, Asparagus, Hot Pepper allergies.